First, let me compliment you on your wonderful web site. It is so important to preserve history. I am also trying to preserve some history. 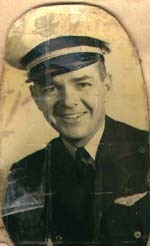 I am researching the life of my Great Uncle, Eugene F. May. I just learned that Gene was in the Navy sometime during the 20's and served aboard the USS West Virginia, although his name is not yet on your crew roster. Gene went on to become a noted test pilot for Douglas Aircraft, and was among the very first to fly faster than the speed of sound. He spent WWII doing initial flight testing and evaluation of the Douglas SBD Dauntless, A-26 Invader, AD-1 Skyraider and C-54 Skymaster. I will branch out by research to include his Naval career. When I learn more, I'll let you know so you can include it in your data base. Also, I will be doing a web site about Uncle Gene and when done I'll send you that URL if you like.